Since the last contest winner couldn't be reached the giveaway has been re-launched! 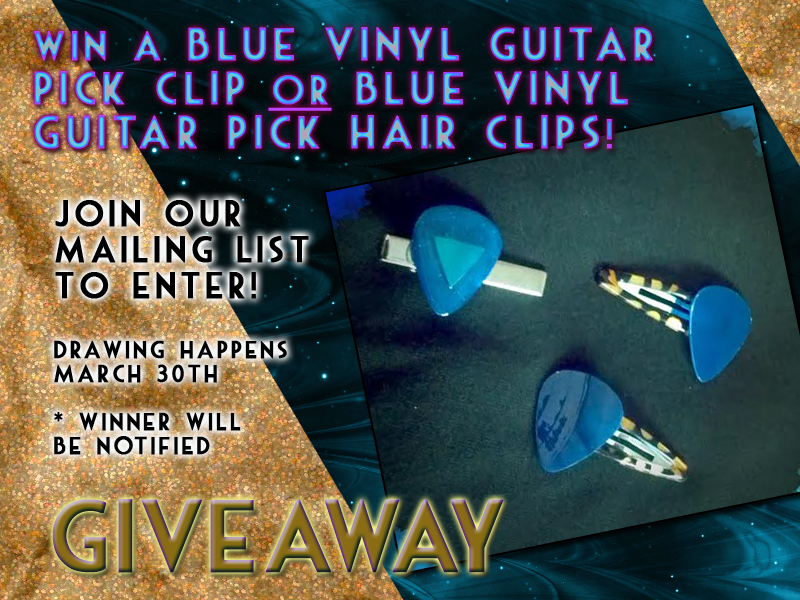 Giveaway:WIN a blue vinyl guitar pick clip or blue vinyl guitar pick hair clips! Join our mailing list here!